﻿ Silica Strawberry Scrub Review: Should You Buy This Product? 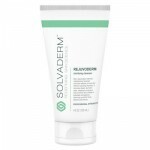 Peter Thomas Roth Silica Strawberry Scrub is an exfoliator that helps improve dry skin by providing your skin with botanical nutrients and silica beads to aid with dullness of your skin. 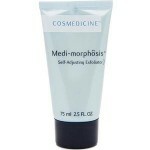 After using this product you’ll notice your skin has a more youthful glow and the dull look of your skin which is caused by dry skin is no more. The product is meant for those who have noticed a loss of youth because of their skin and it’s perfect for those with problem areas and sensitive skin. 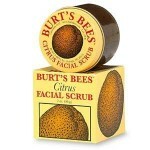 Overall there aren’t many qualities about this scrub that are extremely unique, and on top of that, many customers have spoken out about problems they’ve faced when using this product. From the high price point, to the smell of the product, many people are not pleased with the quality of the product because of many feeling like the product is expired. While that might be an individual problem, it is a little odd that so many individuals have come forward about this issue. As well as not even being able to find an expiration date on the bottle in the first place. Almond Meal: Works as an exfoliator to help remove dead skin and bring out that inner glow. Aloe Vera: Aloe Vera contains two balancing elements in the product when used for skin care, a healing property, as well as vitamins that will help diminish inflammatory issues you may have. Yucca Extract: Used to help smooth skin and also as an antioxidant. Silica: Silica Beads are commonly used to help improve the exfoliating process of a product. You’re able to use this product on your face and whole body, it works as an all in one exfoliator so you don’t need to have a ton of different products in your skin care routine. By using finely ground almonds in the scrub, you’ll notice almost right away that it improves your skin, especially areas that are rough from dryness. 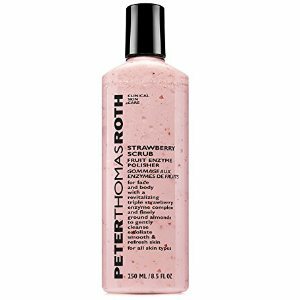 The Peter Thomas Roth Silica Strawberry Scrub has been discontinued in many places and because of that it’s very hard to find on the market. It’s not even listed as a previous product on the official Peter Thomas Roth Site. The Peter Thomas Roth Silica Strawberry Scrub claims that it can help smooth, nourish, and brighten skin, but with all the customers who have spoken out about this product, not only that it smells old and expired, but also because of the lack of exfoliation even though that is the product’s main goal, it overall seems to be a disappointment. Especially when there are so many other exfoliators out on the market that are from guaranteed retailers that actually work in the ways they say they will. We could not recommend this product to be purchased and it is also discontinued so that just adds support to our research about this lack of a product. 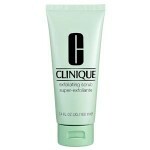 N/A since this product is discontinued.